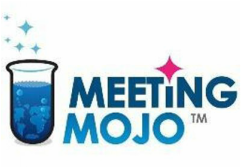 Event's Partnering & Networking opportunities are boosted by using the online "Meeting Mojo" meeting system that goes live 1 month before the forum and allows attendees to pre-book meetings with each other for the day of the forum at a dedicated location in our One-2-One meeting room. As meetings last for 20 minutes number of networking opportunities are created. One-2-One meeting system is currently live for bookings and messaging.